When I attended the gaming convention, PAX, in Seattle a few years back, I wandered off the path a little, seeking some decidedly non-digital experiences. What I found was Krosmaster Arena, a lovely little board game that included several tiny anime-style figurines cast in resin. They were adorable to look at, there were a ton more to collect, and the game mechanics were lots of fun for my whole family to play. Of course, setup and tear down takes a little while, as do the games themselves; my kids and I only pull out the game when we know we have a long evening of free time to play. 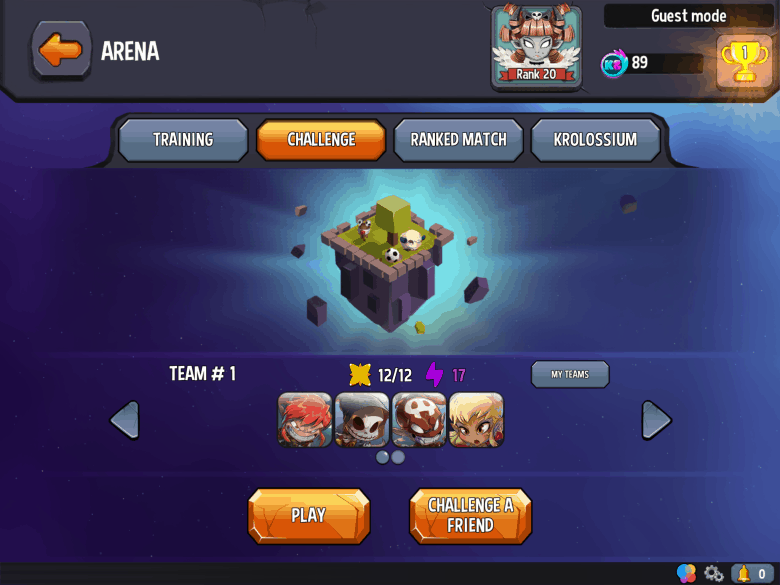 I’m excited then that Krosmaster Arena is now a digital title, taking care of all the setup and adding a few more features you just can’t do with an analog board game. Zoom into the game board to get some perspective. 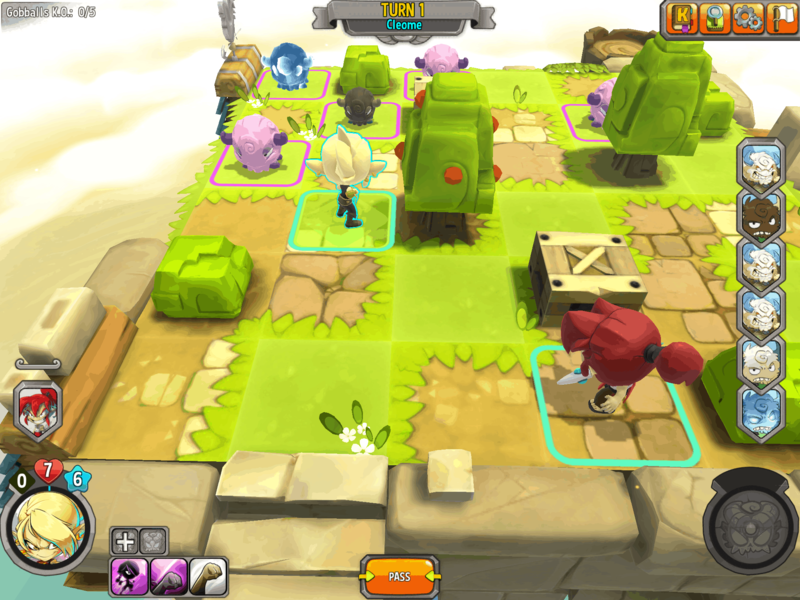 The game itself — based on the long-running Dofus universe — makes the transition to iPad incredibly well; the game board, figures and decorations are all faithful digital reproductions of the real-world stuff. Game play is the same as well, with a turn-based system that has you facing off against AI opponents or real people online on various game boards. You’ll need to take two or three characters into each board battle, making sure you have the right blend of abilities and strengths to attain victory. Each character, or Krosmaster, has her or his own attack and defense skills, as well as a set amount of action points that will let you unleash attacks upon the other players or beasts on the board. It’s deceptively simple and strategically satisfying on many levels. Each turn lets you move your characters on the game board, and then attack your enemies with whatever powers that Krosmaster has, including plain-old fists. The strategy comes in trying to maximize the action points of your figurines while attacking and removing your opponent’s characters from the game board. You’ll be watching your action points, move points and health points all during a game to make sure you don’t leave someone stranded too close to enemy territory (unless you’re luring them in for the kill). The multiplayer arena holds challenges for all. Multiplayer uses the same combat as the single player. The joy here is finding others to play with on the internet, somethig you can’t do with a boxed game on your kitchen table. You’ll use teams of three or four characters to go head to head with other real players in the Arena. You can also purchase new figurines in-app, too, amassing a collection of adorable little fighters and mages, just like in the real world. Parent company Ankama even puts together online tournaments and events in the game to keep you coming back for more. If nothing else, playing miniatures game Krosmaster Arena on my iPad lets me jump in and play a quick single-player game or two when I get the urge, and challenge my kids on their own iPads when we all feel like playing. The base game is free, and that’s a lovely price when you want everyone in your life to own it so you can play (and hopefully beat) them. 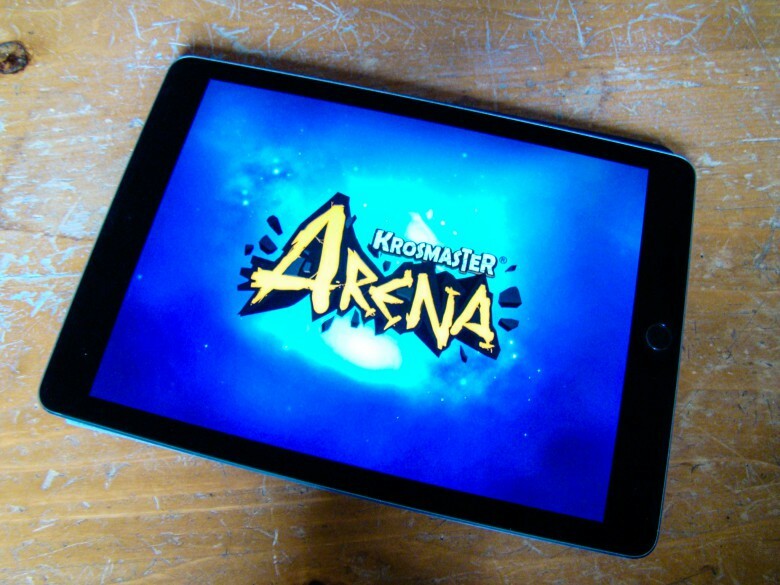 You can play Krosmaster Arena on Android tablets, Mac and PC, as well as on iOS, all for free. Check it out now!